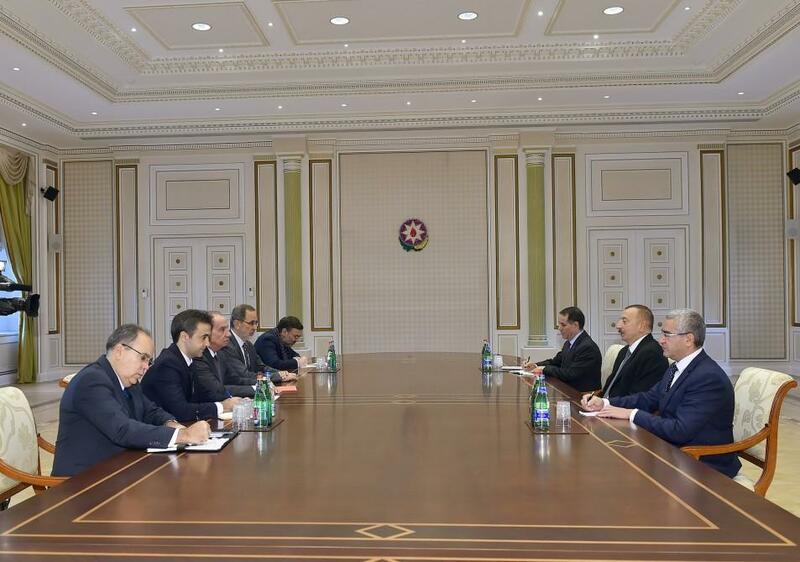 Azerbaijani President Ilham Aliyev received a delegation led by Brazilian Foreign Minister Aloysio Nunes Ferreira in Baku on November 15. The head of state noted the importance of the visit of the delegation led Brazilian Foreign Minister Aloysio Nunes Ferreira to Azerbaijan in terms of developing bilateral relations between the two countries. Underlining the necessity of taking further steps towards expanding bilateral cooperation, President Aliyev hailed the Azerbaijan-Brazil political ties. He described the Brazilian FM’s official visit to Azerbaijan as a good sign in this regard. The head of state underlined the importance of paying attention to mutual economic cooperation in the years to come, pointing at the low level of trade between the two countries. Touching upon the investment projects, President Aliyev emphasized the possibility of achieving even better results thanks to the joint activities of business circles. The head of state expressed confidence that the Azerbaijan-Brazil relations will continue to develop successfully and that Minister Aloysio Nunes Ferreira’s visit to Azerbaijan will yield good results. The Brazilian FM said he agrees with President Ilham Aliyev’s remarks on the development of bilateral cooperation between the two countries. The minister hailed the importance of reciprocal visits in expanding bilateral relations. The Brazilian FM underlined his country's keenness to develop relations with Azerbaijan in a variety of areas, saying that his visit mainly aims to focus on relevant issues. They exchanged views on the issues of cooperation between Azerbaijan and Brazil in a number of fields, including in economic, investment, business, tourism, education, cultural, and humanitarian ones.